An online experience that delves deeper into the stories and encounters of the Polar Sea TV series’ adventurers, scientists and artists. The Polar Sea Magazine is an online accompaniment to The Polar Sea TV series and is composed of ten chapters that expand on each of the ten episodes of the series. 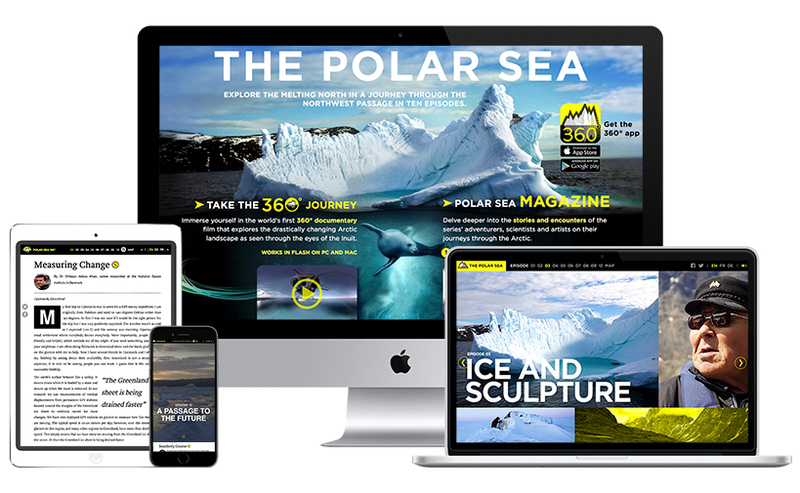 It combines an array of media — first hand accounts, diaries, photo galleries, video, 360° video, animated graphics, audio clips and an interactive map — to provide an intimate look into the Arctic through a curated editorial experience. Evermaven worked with the series’ producers at DEEP Inc. to help brand the project, design the website and the digital experience.